With how much my husband and I travel we are constantly looking for ways to save money. When we have the time to plan ahead I try to make food for us or pack leftovers that don’t need heating that we can eat in the car. The problem with most of the coolers we own, however, is that they don’t keep things cool for long, especially during long drives – and ice was always a mess before Reya joined us, nevermind now! As I was on the search for the perfect cooler for traveling and shopping, I was approached by PackIt, asking if I would like to review two of their popular freezable coolers. After doing some research online I couldn’t wait for them to arrive! Looking for a way to keep your food cold for 6 – 10 hours while traveling or on the go? If so, we think you will the Packit Freezable coolers. These cloth coolers are unlike any other cooler you have seen since unlike traditional coolers, they actually cool your food! All of PackIt’s cooler have freezable gel built into the bag itself, allowing you to put the whole bag in the freezer beforehand, to keep your food cool. This also allows the cooler to evenly cool everything inside, keeping everything insulated and cool longer. With 9 different sizes ranging in price from $11.99 – $29.99, and sporting a variety of cool designs, you will find the PackIt is perfect for just about anyone who wants to enjoy delicious food on the go! Want to bring a salad with you for lunch, but have nowhere to put it? If so, you love the PackIt Freezable Salad Bag. this unique bag easily fits in your freezer and in use, keeps food cold for up to 6 hours. What makes it unique, however, is that it is perfectly sized for most salad containers or bento boxes. With the zipper closure, you can keep your salad and silverware air tight and cool, making sure your salad is perfect when lunch time rolls around. Personally, I think it is the perfect size for just about any lunch, as long as you have it in a bento or other reusable container. It is what I use for my leftovers or refrigerated snacks when we are on the go. Based on my own experience with this bag, I am happy to give the PackIt Freezable Salad Bag an A rating! Out of my reusable bags, the PackIt Freezable Shopping Bag has to be my all time favorite. This gel-lined bag folds up and easily fits in the freezer without taking up much of any space. As long as the bag has been in the freezer for at least 12 hours, it easily unfolds into a sizeable handled freezer bag that keeps items cold for up to 5 hours. I really put this bag to the test (accidentally) when my air conditioning went out on my car, leaving my milk sitting longer in a hot car longer than I had planned. After four hours of errands, the milk was nice and cool, leaving me confident that my dairy was well protected in the bag. 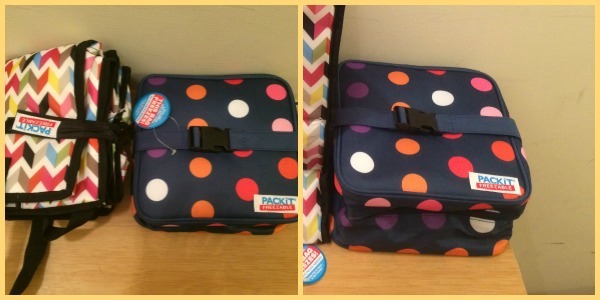 After testing out this bag, I am happy to give the PackIt Freezable Shopping Bag an A rating! Would you like to try purchase some of these awesome coolers for yourself? You can find PackIt Coolers at Bed, Bath, and Beyond, Meijer, Whole Foods, and many other local retailers. To see if Packit products are sold near you, make sure to check out the store locator on their website. As well, you can find many of their products for sale on the PackIt Website. Would you like to win these two awesome coolers for yourself? We are excited to announce that PackIt has offered a pair for an awesome giveaway! One of our lucky readers will win a PackIt Freezable Salad Bag and a PackIt Freezable Shopping Bag. To learn more, make sure to read the rules below and then enter through the Rafflecopter. One lucky reader will win a PackIt Freezable Shopping Bag & Salad Bag. Sweepstakes ends May 6th at 11:59pm ET. 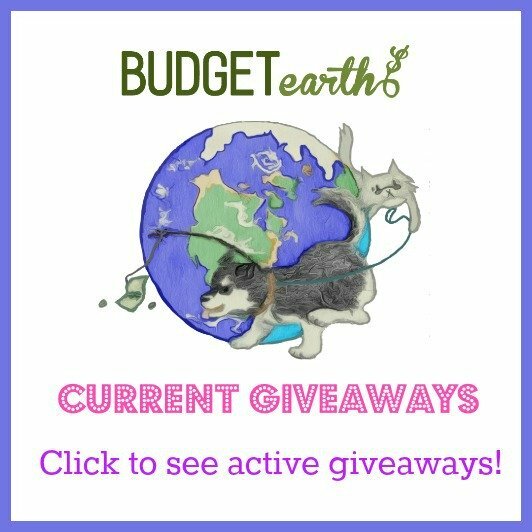 Disclosure: Budget Earth did not receive compensation but did receive products for review purposes. All opinions on this product are my own and may differ from our readers’ opinions. Facebook, Twitter, & Pinterest are in no way associated with this sweepstakes. Prize fulfillment will be handled by sponsor. It would make packing lunches nicer! and when we take some snacks to the park, I wouldn’t have to worry about finding ice packs! I would like to win this for my mom. She has to travel a long way from home to work and from the store to home. She would love them and appreciate them. I thank you for the chance to win. Very welcome, Shannon! I will cross my fingers! They really are awesome! I think I’ve seen these on t.v. It would be perfect for my husband to carry his lunch in. He’s limited as to what he can take because a cooler wouldn’t cut it. I would like to win these bags because they have nice designs. Also, I would use them to take my lunch in. I would love the freeEable lunch bag or salad bag. My last cooler pack I had leaked so when I take my lunch it doesn’t stay cold. Love the ability to freeze these PackIts! And the fabric is great! These bags are so cool and I love that they are cute too!! These would come in handy! Thanks for the chance to win! wow after reading this, i thought how nice would it be for my mom to have. She always buy milk, fish, meat which needs to be kept cool, especially summer time. This would really help her. That way she wouldn’t be in such a rush getting home. I’ve been working to “green up” our household with reusable snack bags, metal straws, etc, so these would be a perfect compliment to our “greener” way of packing lunches! Oh my goodness, I would love to win these for myself! I take my lunch to work as much as I can so I would be able to use these for sure! I would like the have this freezer bag because it stylish and it is compact. I like that it folds up neatly in the freezer and expands when you need it. My closest costco is abt 45 minutes away. These would allow me to stock up at low prices! I would love to win these for me and my husband for lunches and for shopping. How easy and convenient to not be in a rush or not have to haul a big bulky cooler to keep things cold on a warm day. The store we shop at is about a half hour from home so this bag will help the food stay cooler longer (very important with the warmer weather coming up.) This would definitely help our food last longer! Thanks for the chance! We walk to the park a lot during the summer and these bags would help keep lunches cold on the trip. Would also be great for shopping trips and taking food to church picnics. My daughter-in-law would love these for her day trips out with the kids. They could take them to the zoo, park, or pool. I would love to win these because we live in a rural town and to go to the grocery store, especially in the summertime, requires us to take a cooler just to make it home with the perishables still good. We also carry drinks with us a lot and fix a cooler to keep the drinks cold. These seem like they would help on our grocery shopping without fixing a cooler. I no longer drive and need to depend on others to take me shopping. Sometimes they want to make other stops or take longer than I do to shop so my frozen foods have to stay out of the freezer for awhile and especially in the summer these bags would be a great help in keeping them cold until I get home. There would be great for when I take road trips. I could save money by taking snacks & drinks with me! I would like to win because this would be very convenient for me when I go to work, especially in the summer months. I would love to win these because I need a cooler bag for my grocery shopping. It sometimes takes a while to run errands with groceries in the car and this would be so helpful for that. The shopping bag would be perfect for going to a local farm that’s by my work. It would keep things fresh on my commute home. The salad bag would be perfect to bring my lunch to work in. i want to win b/c i need the large one. we don’t have a backseat and i need a way to keep groceries cold in the summer. I would love to win! It would encourage me to pack a lunch for work, which I don’t do nearly often enough! Thanks so much for the giveaway! 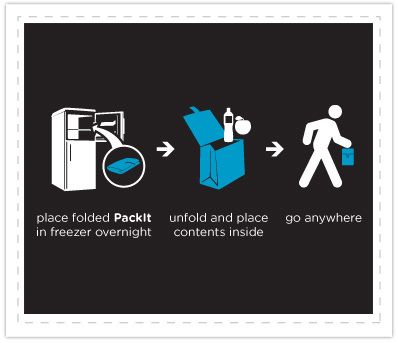 PackIt’s patented freezable gel-liner you can keep your groceries cool – for up to 6 hours! The Shop Cooler allows you to finish your errands without stopping home to unload dairy, meats and produce. The shopping bag looks great, especially with summer coming. I would love to have these to take to the grocery store with me when I am not going to be able to go straight home! I’ve had so many messes happen when new groceries melt too quickly in my hot car! These would be great for packing lunch at work, I have no refrigerator. They also would be awesome for road trips in the car, I never can seem to find the ice packs and ice is just too messy. Being in Arizona, the shopping bag would be terrific for those summer shopping trips when I am purchasing popcicles. I am always afraid they are going to melt. 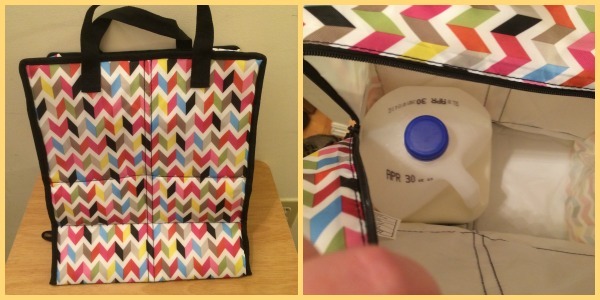 The lunch bag would be great for field trip days when I can’t put my lunch in the refrigerator. I want to win these coolers because it would be great for my kids. I have two toddlers, and I always have to pack lunches and snacks when we go places. This would keep everything fresh and cool. Perfect for my fiances lunch! He works in construction so he doesn’t always have access to fridges. I always worry about keeping things like ice cream from getting melty in the summer. These bag would be great for helping to prevent that; I’d love to have one! I would love to win this bag for myself. It would be great for keeping my lunch cool and it looks cute! We try to avoid restaurants and meals outside as often as possible in an effort to avoid extra calories and unhealthy meals. These are perfect for a car trip, work, or school. I would like to win to have something to pack lunch for work or the beach! I waste so much money eating lunch out! Thanks for the giveaway! We buy quite a bit of frozen and refrigerated foods and in the winter, its no problem getting them home without them thawing, but in the summer it’s not as easy. We don’t have the hottest weather, but it does get into the 90’s so these bags would be great for bringing groceries home and also for my fiance to take a cold salad or other dish to work with her. We have a “cooler” for when we go grocery shopping but we still have to be quick if it’s a really hot day since we cant put it in the freezer like these. We do put ice packs in to help BUT then they take up space in the cooler…its just a hassle. I would love to have these so that I dont have to worry about cold stuff getting too warm quickly. Everyone is going away from plastic and paper bags at the store to entertain the healthy earth movement. I would love to help out and these bags would help. I want to win these coolers because I want to bring them to Ribfest. Ribfest is in July. Id love to win this just in time for the park concerts that we have in line this summer! This would be very useful for our various travels. We could use it for the park or for car rides. I’d like to win because I use only reusable bags and would love to have one that I can put my frozen items in. Here in Florida there’s no stopping at more than one store because the heat will do a job on anything in no time flat! 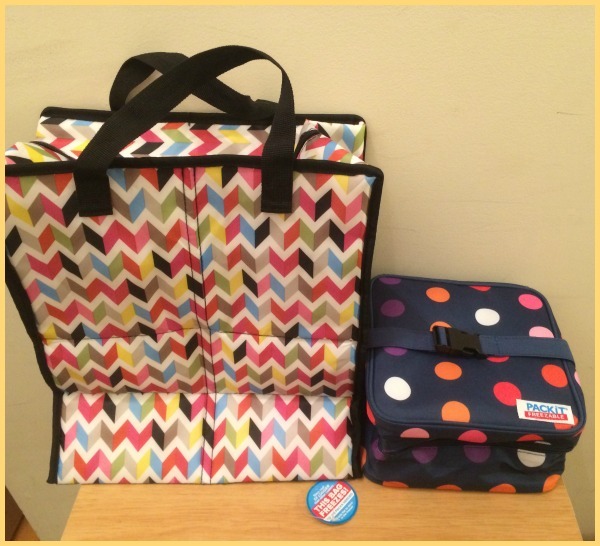 I want to win The PackIt: Freezable Shopping Bag because when we go to the grocery store, I always treat my son to lunch out and we usually have food left over to take home and I am always concerned about keeping it cool. This would be a great bag for that. I want to win these so I can prepare dinners ahead of time! In the summer we do many picnic lunches. I’d love to have something handy to organize it all. Because going on picnics would be so fun with these! These would be great to have in the car so I could go grocery shopping on my lunch hour. This would totally make packing lunch easier! Great product! I would love to win this and also give my son/daughter in law one. We would definitely use it when we go on picnics with our grandson! Theses would be perfect for fun and work! They would travel great to the beach(no more soggy PB&J’s) and would be great for me when i go out landscaping with my husband! My husband and I go on frequent short trips. These bags would really save us money while at the same time tacking food that are healthy. Both my son and daughter in law work for a company where they take their lunches to save money.this would allow them to take better quality food. I want to win these because I take my lunch to work and I’m the only one in the house who doesn’t have their own lunch container. 🙂 I also am a big fan of reusable bags and would love not having to worry about my cold products staying cold if I make more than one stop! I would like this for my husband. He just started a new job that is wonderful, and much better than his last. But the location is not near any places that he can eat. I’d like him to please start carrying a lunch. I live in SO. Florida & it gets super hot. I like to pack food for the beach. These would be perfect to keep my food cold. This would be great for grocery shopping this summer. It gets so hot in my car, my ice cream melts by the time i get home! I would like to use it when I go grocery shopping. I need something to keep things cool. I would like to win these because I travel a good deal with my kids during the summer and take them on picnics to various parks. It would be so nice to be able to pack our lunch without the mess of ice melting in a cooler. These would make a good addition to our travels. I’d Love to win this for when I go grocery shopping and buy ice cream and other frozen items on a hot day. I think this would keep everything good and frozen until I get home from the store! Thank you for a great giveaway!! I would love this freezable bag to use for grocery trips. During summer times, keep the cool drinks and food very chill in the car, or outside in parks. This is such a multifunctional bag! Really awesome invention! These are great! I bring lunch to work everyday and I would love to have these. I would like to win one of these bags because I am always needing something frozen. Better than buying the store items. I take my lunch to work and my cooler just ripped and bit the dust. I think this would be perfect for taking lunch and the freezer bag, for shopping. I would love to win the freezable bag in case I am running multiple errands. I want to be able to go into another store for a couple of minutes without worrying about the cold items in the car. It gets really hot here in the spring and summer, so these bags would come in handy when grocery shopping. I would like to eat more healthy and the salad bag would help that. And with hotter weather coming, the shopping bag will help me get my cold groceries home at an appropriate temperature. Thanks. so i can go to bbqs lookin stylin! I would like to win these coolers as they would make it so much easier to take cold foods with me to work. I like how long they stay cold after taking them out of the freezer and they are so attractive looking! I deal with ice packs and it kind of stinks. I’d love to just stick my cooler in the freezer.It’s a great idea. It looks easy to use. I need something like this. I like in Hawaii so it’s always hot. Plus I like the designs! These are really nice. I take my lunch / dinner to work and have to add an ice pack which adds weight, this would do a better job. i would love to win because these would be perfect for picnics at the beach. I wouldn’t have to worry about to sandwiches, juices and fruit getting hot. I want to win these coolers since they’re pretty! I need new ones. The refrigerator at work is just too awful for words. I would love to have these so I could bring healthy perishable to work with me. I would love to win them to use on family roadtrips, a day at the amusement park, a picnic, a day at the pool, going to the beach, etc… There are many things that I could use these for with my family of 3 young daughters, my husband & myself. I would love to win these for myself! I usually pack a lunch every day and have been in need of something that can hold the cold better! I’d love to use these when grocery shopping, instead of plastic. These bags are a good idea.I would take it with me when I shop in the summer. I would love to win these coolers because I take a lunch to work daily to save money and it would be very helpful. There’s also been times I’d like to go on a picnic or something, but I don’t have the proper equipment! i am working on being healthier. this would be perfect for packing my lunch and they are really cute too! I would love to win this awesome cooler bag. I live near the beach and in the summer we like to spend all day there. I could pack this full of waters and sandwhiches for the kids and also put snacks in it as well! It gets so hot here in the summer and I worry about getting my frozen and perishable foods home safely. These bags would really help. I think that they are really cute. THey would be great for lunches! As a graduate student I am trying to save money buy packing lunches. These coolers would be great for keeping lunches like turkey sandwiches or yogurt cold until lunch time. Great for being on the go! These bags would be AWESOME for shopping in the summertime here in north Georgia. I mean, it’s already been in the 90s this week – so traveling to get a gallon of milk means you must be prepared! (we’re about 11 miles from our usual store). Leftovers from eating out with friends! These would be excellent for my mom who is always on the go. I’m sure she’d love the designs too. Thanks for the giveaway… living in the desert southwest makes keeping food items cool a bit of a challenge; would like to give these a try ! I’d like to win them for lunches. Also they’d be great for road trips too.